Charles and Ray Eames were some of the most influential furniture designers of the twentieth century, consistently producing head-turning creations and relying on the symbiotic nature of form and function in their pieces. The original 119 Aluminum Group chair, released in 1958, is an excellent example of the way that graceful metallic curves and soft cushioning can coexist without clashing. Based on the Eames originals, the Stockroom replica Aluminum group pieces are set up for comfort as well as style. These long lasting office chairs look incredible in the office and create a fantastic focal point for discussion. Without a certain amount of pleasure, there would be a lot less business - at least, that was the idea behind the creation of this classic Eames piece. The need for comfort in a formal office setting did not go unnoticed by the Eames’, who created the 119 Aluminum Group chair as a chic response to the unappealing alternatives available at that time. Please note this price is for half leather only. Since most furniture in the market is made in half leather that's why quote you this price. 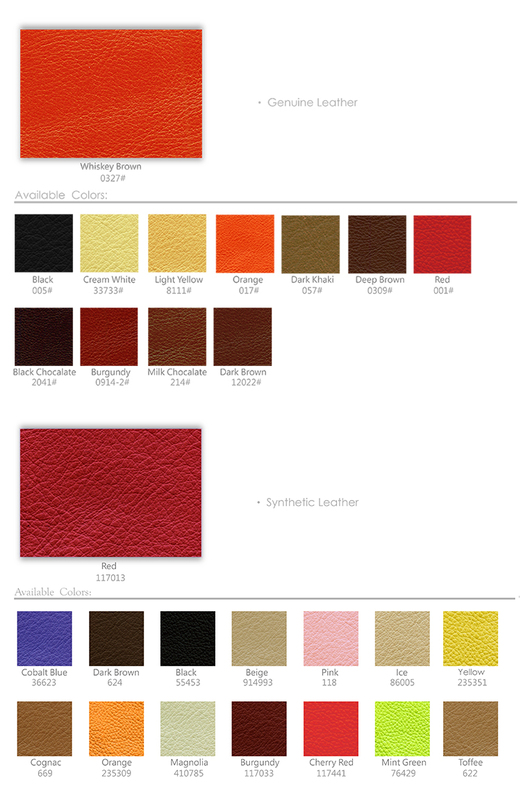 If you prefer full leather (including all back parts in Top Grain Italian Leather), please feel free to call our Customer Service for a full Leather quotation. The name Charles Eames, Ray Eames, Aluminum Group is used to describe the product, not as a trademark.